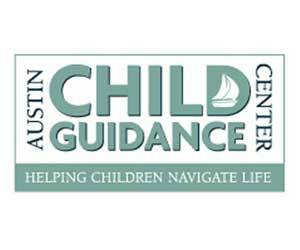 The mission of Austin Child Guidance Center (ACGC) is to improve the mental health of children and their families through early intervention, diagnosis and treatment to help them develop the emotional skills for meeting life’s challenges. ACGC’s services are individualized to meet each client’s needs. A multidisciplinary team of psychiatrists, psychologists, social workers and counselors provide individual, family and group therapy; psychological assessments; psychiatric evaluations; parent education; and community consultations and presentations. ACGC has received accreditation by the Joint Commission since 1986. This accreditation is voluntary and reflects our commitment to providing the highest quality of care. Low-income and working poor families encounter various barriers to receiving mental health services. ACGC provides comprehensive, specialized mental health services to all segments of the Travis County community, regardless of a family’s ability to pay. Services are available on a sliding fee scale rate, based on a family’s income.